‘There are some episodes that stand out as highlights in one’s career. 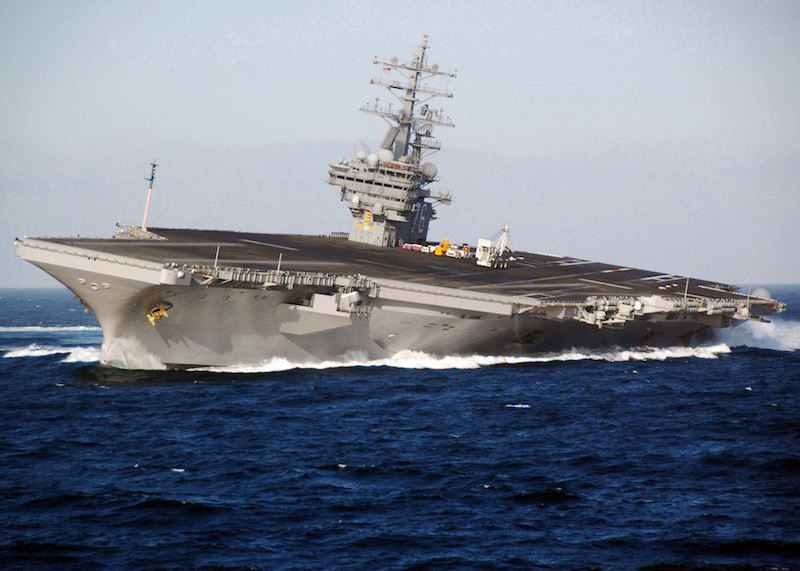 In 2007 I piloted the USS Ronald Reagan into Brisbane. At 343 metres long and about 78 metres wide, it is the biggest ship ever to come into Brisbane. The preparation for it involved going to the United States and working with the American Navy. ‘The channels in Brisbane aren’t really designed to accommodate ships of that length, so as part our briefing with the US Navy, the Brisbane harbour master requested that the pilotage be done on a simulator first to validate what we thought was possible, and to develop and agree to a methodology for bringing the ship in safely. ‘We identified the most difficult and challenging aspects of the pilotage and worked on those until we got them right. We then worked out where and at what stage of the tide we would be at each stage of the passage. There were other issues we had to deal with. For example, there was the vessel’s sewage capacity which, with 6,500 bodies on board, would be reached in about 4.5 hours – the duration of the pilotage. One of the priorities then, was to get the ship alongside ASAP to plug into a facility that could accept its sewage. ‘The morning the Ronald Reagan was due to enter we went on board to do our pre-passage briefing. Normally on merchant ships this is done with one or two people, but on the Ronald Reagan we were taken into this room and there were about three hundred people there. I nearly fell over. I couldn’t believe it. Every man and his dog were involved. ‘The briefing went on and on and on and everyone seemed to be asking more and more questions. I couldn’t see an end to it. We had worked out that we had to get the first line ashore at 16.30 to plug into the shore sewerage tanks and to do this we had to pass the Fairway Buoy at noon and time was slipping away. I kept telling the captain that we really had to get going. He said ‘Don’t worry we have plenty of time,’ and I said ‘No we haven’t.’ For security reasons, they won’t tell us what their top speed is. It’s all classified. In the end he said, ‘what speed do we need to get to the Fairway Buoy on time’ and I said, ‘we now need 40 knots captain and he said ‘No problem.’ ‘‘No problem?’ I was stunned. ‘The ship just came up on his command. I have never been on a ship displacing 100,000 tons doing a speed of 40 knots before. It was so smooth and silent. It was unbelievable. The ship itself was more manoeuvrable in real life than she had been in the simulator. The entire pilotage – the movement of the biggest ship ever to enter Brisbane, 6,500 soles and eighty aeroplanes on board – went like clockwork. I guess it’s the sort of legacy one can expect from careful and detailed planning. What a very interesting story. Enjoyed it all. I sailed with Steve when he was 3rd Officer, and his father a greaser on board a bulk carrier many many years ago.